Adam Lee has worked in all aspects of the wine industry. He has worked at a wine store, on the floor of a restaurant in Austin, Texas, for a distributor and wrote about wine before starting his first winery, Siduri. Experience working in all facets of the wine business has provided Lee with an advantage; he knows all of the benefits and challenges the industry poses. By 2015, Lee sold Siduri to Kendall Jackson. While he remains the winemaker, the new ownership freed Lee from the business side of things. As a result, Lee gets to spend more time in the vineyard. “The growing and picking is the most important part,” according to Lee and he was thrilled to spend more time there. With the time in the vineyard, Lee began thinking about the legacy he would leave for his children. He and his wife Dianna liked the idea of leaving them something small that would not be a burden but rather something they could choose whether or not they wanted to grow. 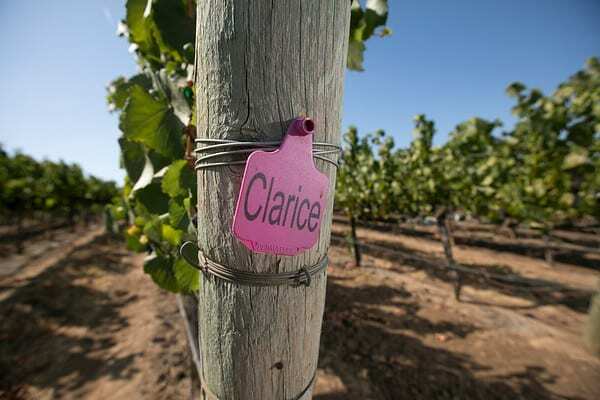 In 2017, named after Lee’s grandmother, Clarice Wine Company was born. 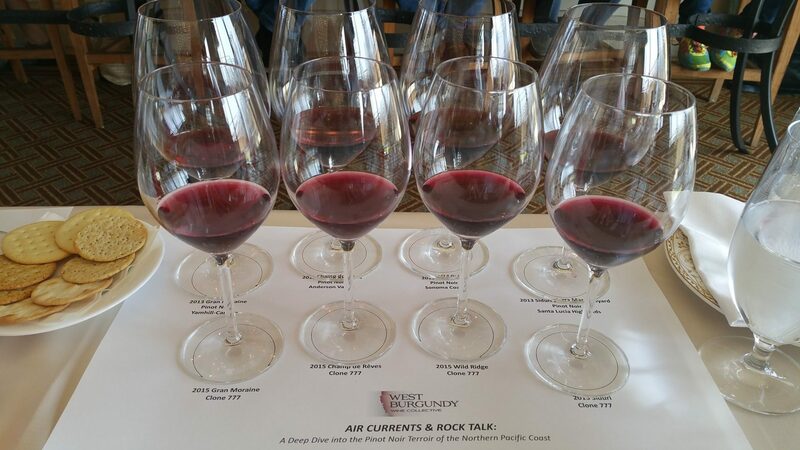 The 18th annual World of Pinot Noir took place in Santa Barbara this past weekend. More than 250 wineries from around the world showcased their Pinot Noirs at seminars, lunches, dinners and the grand tastings. 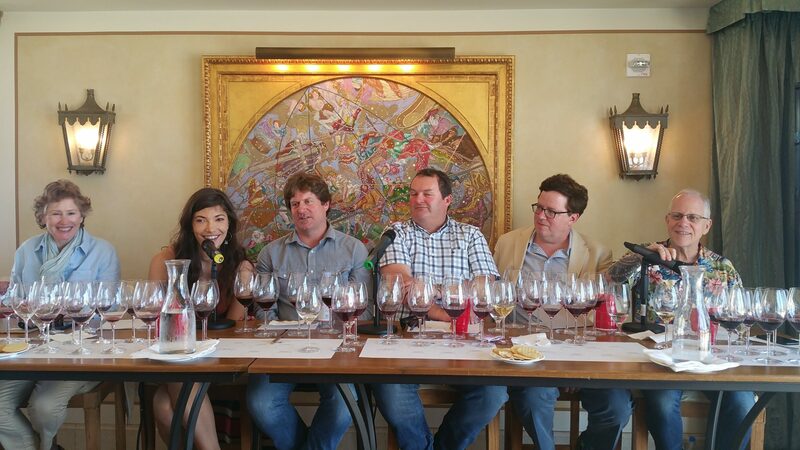 Everyone in attendance was friendly and shared the common love of Pinot Noir. I was reminded how overall, the wine industry is one of camaraderie, friendship and support. Winemakers share their wines and taste each other’s wines, offering their feedback. Winemakers buy fruit from each other and sometimes work in the same facility, sharing equipment. They travel together for events or on sales trips. Even as competitors, they are friends and that was showcased at a dinner I attended featuring winemakers Wells Guthrie of Copain, Jonathan Nagy of Byron, Greg Brewer of Brewer-Clifton and Adam Lee of Siduri. From the Alexander Valley to the Santa Ynez Valley and in between, these four winemakers have each been making wine for more than 20 years each and their relationships go back as far. Terroir and clones: What do they mean? Terroir is a term used regularly when discussing wine. But it is a term that is also met with controversy and conflict. What is terroir? It is an amorphous term with no clear consensus. In Burgundy, where they have been carving up land for hundreds of years, perhaps they have a good sense of their “terroir.” But what about in California where the wine industry is younger? Julia Jackson from Jackson Family Wines hosted a conversation about the terroir of the West Burgundy Group, a portfolio of boutique wineries producing estate-based, site specific wines from Burgundian varieties grown in vineyards across the cool climate regions of California and Oregon. The conversation included winemakers Erik Johannsen (Champ de Rêves), Eugenia Keegan (Gran Moraine), Adam Lee (Siduri) and Craig McCallister (Wild Ridge), as well as Steve Heimoff, Jackson Family Wines director of wine communications and education, and moderated by Gilian Handelman, Jackson Family Wines director of wine education.